Bloomsbury Studies in Critical Poetics – Coming Soon! We are delighted to announce that next year we will be launching a flagship new book series that aims to become the home for the best and most exciting scholarship in modern and contemporary poetry criticism. Edited by Daniel Katz, Professor of English and Comparative Literature at the University of Warwick, the Bloomsbury Studies in Critical Poetics series seeks to explore the ways in which modern poetry has intersected with philosophy, psychoanalysis, political protest and liberation movements, economic theory and any of the most urgent and important debates of our time. 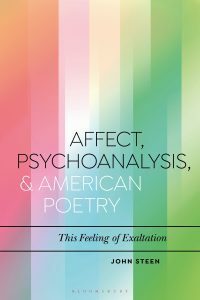 Affect, Psychoanalysis, and American Poetry: This Feeling of Exaltation by John Steen (Galloway School, USA) draws on affect theory and contemporary psychoanalysis to examine negative emotions – anxiety, grief, rage and shame – in a range of modern poets from Wallace Stevens and Robert Creeley to Aaron Kunin and Claudia Rankine. Through this study, the book outlines a new idea of poetic value based not on ‘closure’ but on more open notions of permeability, social intimacy and attachment. 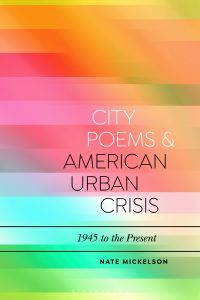 City Poems and American Urban Crisis by Nate Mickelson (Stella and Charles Guttman Community College, USA) charts the ways in which post-War poetry has responded to the ever-changing experiences of America’s cities and neighborhoods, including Chicago’s Bronzeville, New York’s Losaida, and Los Angeles. 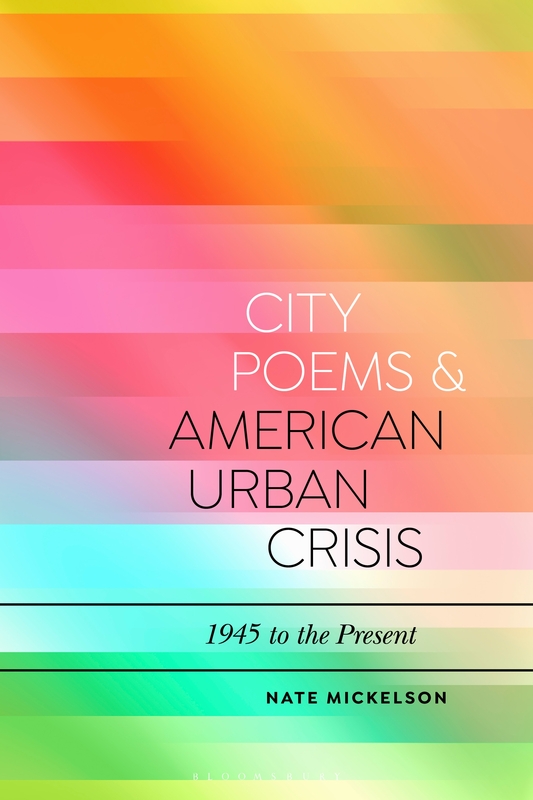 Mickelson brings the work of major mid-century poets like Gwendolyn Brooks, William Carlos Williams, George Oppen, and Charles Olson into conversation with contemporary urban theory and planning history and more recent work from poets like Wanda Coleman, Lewis MacAdams and Nuyorican writers of the New York area. 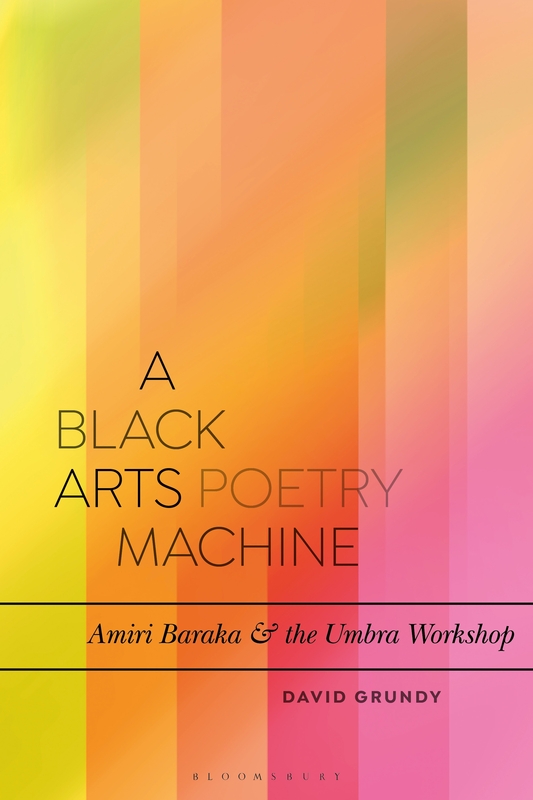 In A Black Arts Poetry Machine, David Grundy (University of Cambridge, UK) brings together new archival discoveries and insightful close reading in an important new study of the work of Amiri Baraka, the Umbra Workshop and the African American poetic avant-garde. 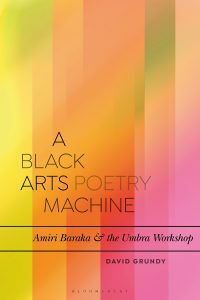 Along the way the book shows the ways in which the innovative poetic forms of writers such as Baraka, Lorenzo Thomas and Calvin Hernton engaged with radical poetic responses to state violence and urban insurrection. 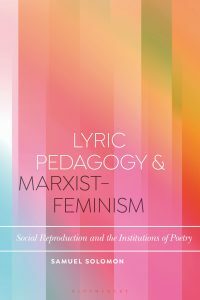 Samuel Solomon (University of Sussex, UK) constructs an alternative history of Marxist Feminist British poetry in Lyric Pedagogy and Marxist-Feminism. Focusing on the theoretical question of social reproduction and turning to an often overlooked tradition of British poetry that includes Denise Riley, J.H. 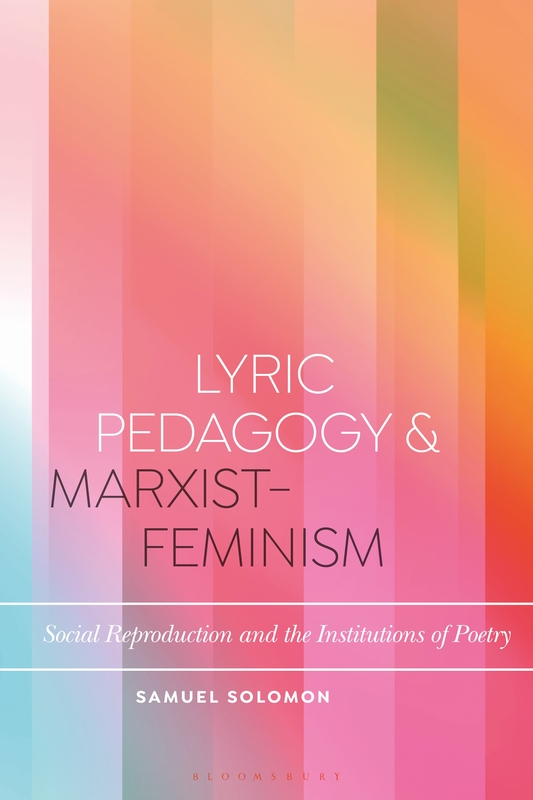 Prynne, Veronica Forrest-Thomson, John James, and Wendy Mulford, Solomon explores new answers to the question of poetry’s political potential in the modern age and the value of literary education today. If you think you have a monograph that might fit with the series, do get in touch with Series Editor Daniel Katz at d.katz@warwick.ac.uk. Hélène Aji (University of Paris Ouest-Nanterre, France); Vincent Broqua (University of Paris 8 – Vincennes/Saint Denis, France); Olivier Brossard (University of Paris Est-Créteil, France); Daniel Kane (University of Sussex, UK); Miriam Nichols (University of the Fraser Valley, Canada); Peter Middleton (University of Southampton, UK); Cristanne Miller (SUNY Buffalo, USA); Aldon Nielsen (Pennsylvania State University, USA); Stephen Ross, (Concordia University, Canada); Richard Sieburth (New York University, USA); Daniel Tiffany (University of Southern California, USA).